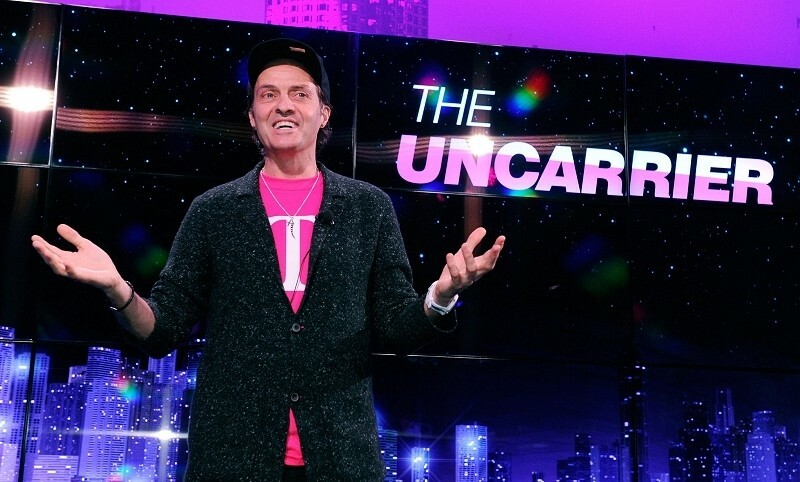 T-Mobile is starting 2015 with a heavy prepaid push. Starting January 25, the disruptive wireless provider will launch a new brand of prepaid plans starting at $40 per month for unlimited talk, text and data. Simply Prepaid will be available in three different tiers depending on how much 4G LTE data you need. The $40 plan includes 1GB of 4G LTE data, the $50 package nets you 3GB of high-speed connectivity and the largest $60 plan includes 5GB of 4G LTE data. The packages can be marketed as offering unlimited data because technically, they do. Once a customer reaches their 4G LTE limit, the data connection will slow to a crawl – we’re talking 2G, 129Kbps here which is practically unusable. As CNET points out, the Simply Prepaid plans will compete with prepaid offerings from other carriers as well as the company’s own MetroPCS brand which operates on T-Mobile’s network. Both brands offer virtually the same packages with the exception of the $60 MetroPCS plan as it includes unlimited 4G LTE data. T-Mobile is well aware of this overlap. In a statement to the publication, a spokesperson for T-Mobile said it’s really just about creating choices for their different customers. With the Simply Prepaid brand, T-Mobile now has another outlet to sell yet another prepaid service in-store. It’s also likely that some buyers simply won’t realize that MetroPCS is owned by and operated on the T-Mobile network so perhaps they’ll perceive a prepaid offering from T-Mobile as being more legitimate. T-Mobile already offers a prepaid service called Simple Choice which is a little more expensive than Simply Prepaid. The difference with Simply Prepaid, aside from being a bit cheaper, is that it doesn’t include some of the bells and whistles you get with Simple Choice like tethering, free international texting / data roaming or Music Freedom (T-Mobile’s scheme in which streaming music from select providers doesn’t count against data usage). As with any wireless service, it’s best to do your research and compare the pros and cons before making a decision.